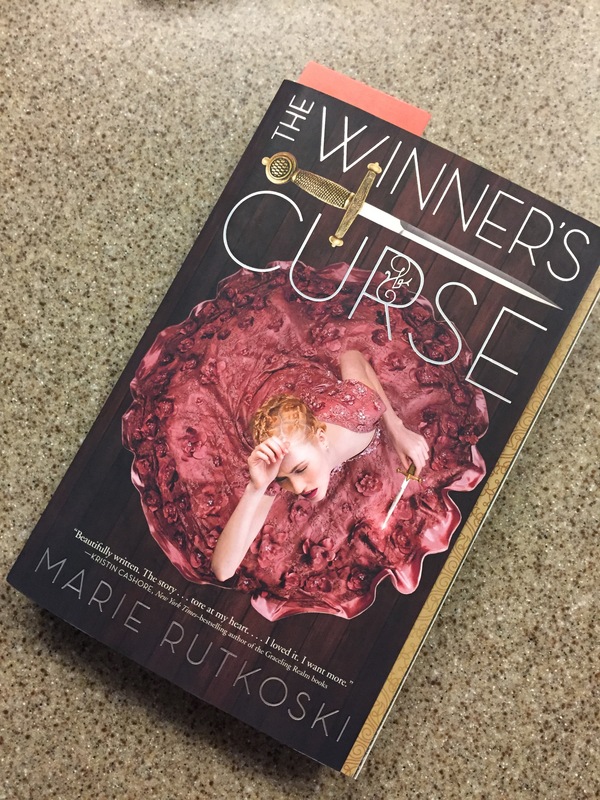 The Winner’s Curse is a book that has received a lot of attention in the last few months, and I bought it to see what made it stand out so much from other YA fantasy novels. I was sucked into this world pretty quickly. So much so that I read the entire book in a single day. This novel primarily surrounds Kestrel, a young women who is faced with the decision of joining the military or getting married within the next few years. While trying to wade through which choice would be best, she makes the snap decision to buy a slave at an auction she attends, admiring the defiance and strength he shows after refusing to follow the auctioneer’s demands. As the slave, given the name Smith, acclimates to life with Kestrel, the two befriend each other. This becomes a source of tension for Kestrel in her society when people begin assuming they are more than friends. This friendship further complicates their lives, because Smith is hiding information about his intentions and past from Kestrel which causes major rifts in the latter part of the novel. Review: There were several aspects of The Winner’s Curse that I thought were really well done and appreciated. The main difference I loved from early on, was the lack of insta-love between the two protagonists. I really liked that when Kestrel first brings Smith home, she almost forgets he is there for an entire week. She had other responsibilities or interests in her life and that didn’t change just because of Smith. In fact for a good portion of the first part of the book Smith and Kestrel seem to really hate each other. The complexities of their characters were also revealed in the struggle they each faced in choosing between their growing feelings for each other and their loyalty to their people. Rutkoski did a very effective job of showing the emotional turmoil these two face as they try to decide was is best for the people around them but also for themselves, and I think the fact that there are times when the characters feel they made the wrong choice, really highlights how closely balanced these separate loyalties are for Kestrel and Smith. The world building, history, and myths/beliefs of the characters in The Winner’s Curse, was also really impressive and believable. I think the belief system especially was highlighted and most effective through the character Enai, Kestrel’s childhood nurse. Overall, I thought this novel was very well written and am eager to read the sequel! I’m so excited to read this title soon I have heard such great things, your own review included. The main female character sound especially intriguing! As does her relationship with the love interest.